The world belongs to the extroverts. I learned that pretty quickly in primary school. But where does that leave everyone else? In my experience, it leaves most introverts feeling like they don't belong anywhere. 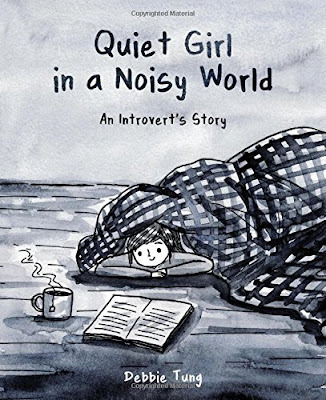 Quiet Girl in a Noisy World is a remarkably smart, funny look at how one person has made peace with her introversion. I've known many fellow introverts over the years and while Tung's level of introversion is a bit deeper than my own I found it so very relatable. It was nice to find that many of her experiences were quite universal for introverts (and often their extrovert partners, too). If you've ever declined an invitation or made a weak excuse to get out of a social event there's humor for you. Found yourself feeling majorly hungover after attending a mandatory work function or family gathering even though you didn't touch the booze? Yep, Tung covers the introvert hangover perfectly. If you sometimes find yourself huddled behind a big book or wearing headphones even when you've got no music on in public spaces chances are you'll feel comforted to discover you're far from alone. With lovely illustrations, warm wit, and the courage to share all of the awkwardness that comes with being introverted Tung has written a tome I'm likely to read anytime I'm feeling down about my failings at extraversion. 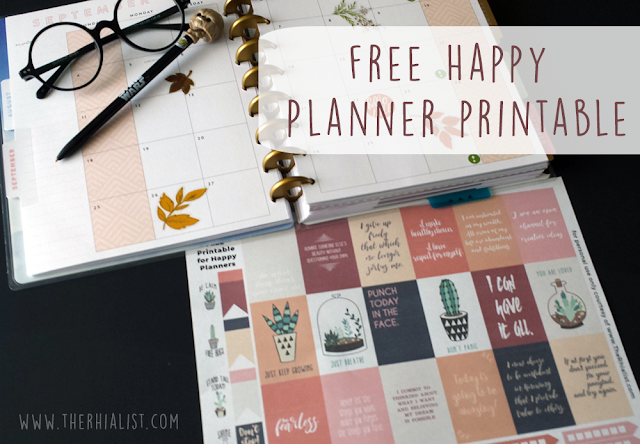 I also think it would be a great gift to give the introverts in your life to show them that you're cool with who they are. Maybe you'll even get lucky and they'll decide to sit next to you while they read it and you do something else—a high sign that an introvert likes you. 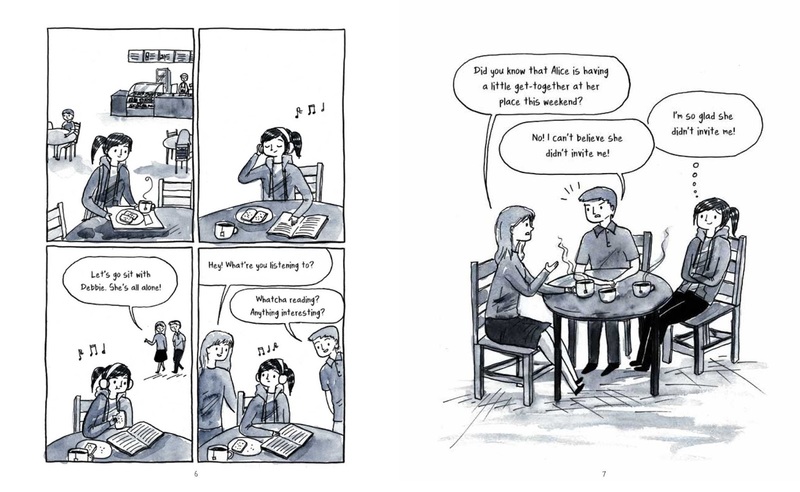 This illustrated gift book of short comics illuminates author Debbie Tung's experience as an introvert in an extrovert’s world. Presented in a loose narrative style that can be read front to back or dipped into at one’s leisure, the book spans three years of Debbie's life, from the end of college to the present day. 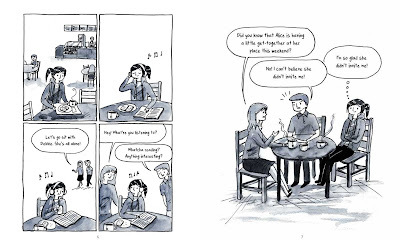 In these early years of adulthood, Debbie slowly but finally discovers there is a name for her lifelong need to be alone: she’s an introvert.The first half of the book traces Debbie’s final year in college: socializing with peers, dating, falling in love (with an extrovert! ), moving in, getting married, meeting new people, and simply trying to fit in. The second half looks at her life after graduation: finding a job, learning to live with her new husband, trying to understand social obligations when it comes to the in-laws, and navigating office life. Ultimately, Quiet Girl sends a positive, pro-introvert message: our heroine learns to embrace her introversion and finds ways to thrive in the world while fulfilling her need for quiet.